Mount Olympus one of the best primary school in Gurgaon have excellent infrastructure, trained and caring staff. 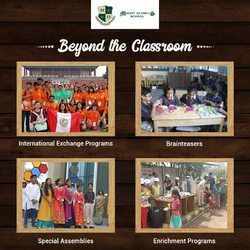 One of the top kids school in Gurgaon strive to prepare students to face the real world challenges. Contact Now! Visit our website for more details.